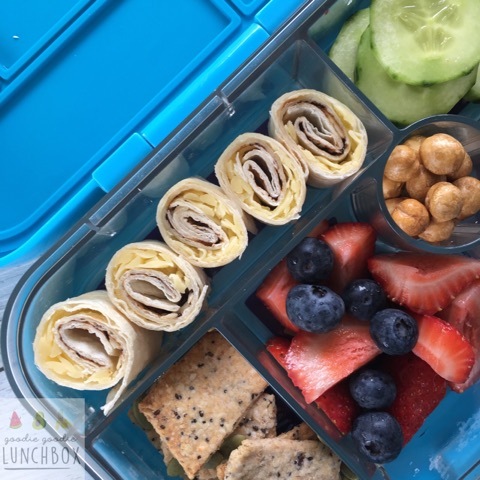 Wraps are something I serve Mr 6 a lot so I am hoping my latest blog post 10 Wrap Filling Ideas for School Lunches will be something helpful for you! What did you eat for lunch when you were younger? I think as a kid I had the exact same food for lunch everyday (sandwiches and fruit). Now this did not do me any harm and it was totally my choice, but I want my kids exposed to variety in their lunches. And I think for many parents achieving variety can be the challenging thing about packing school lunches. But who says variety needs to be completely different foods? I think it is also about changing up the same food and serving it in different ways. 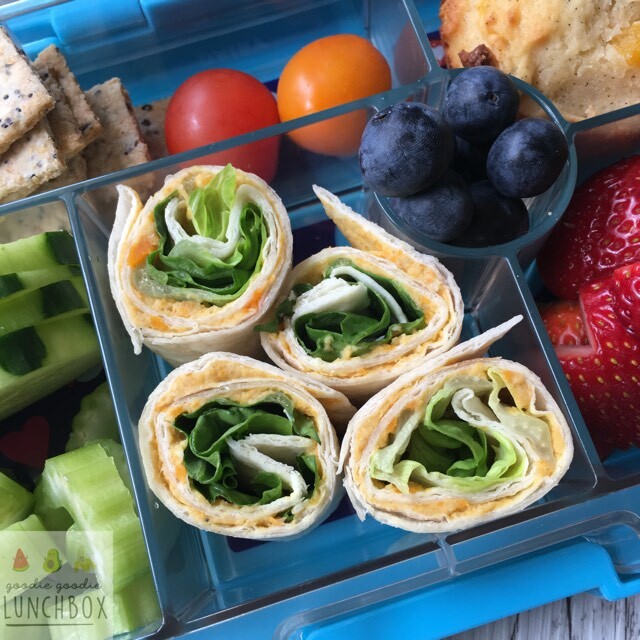 So this blog post is here to inspire you with 10 Wrap Filling Ideas for School Lunches. Serve crumbed or poached chicken breast with lettuce and cottage cheese for a protein packed snack. You could always substitute the lettuce for coleslaw or spinach leaves as further variations. When I make this combination for myself I like to add spring onions and some freshly grated Parmesan cheese. There is nothing wrong with using simple ingredients. Adding grated carrot to a ham and cheese wrap gives a veggie boost while still being simple enough to appeal to your kids. 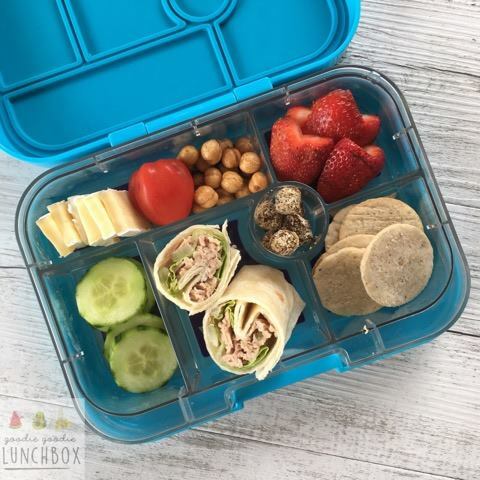 Tuna is another great option for the lunchbox containing essential fatty acids and is good source of protein. I like serving mine with lettuce and pickles but you could also add in avocado and amp up the good fat factor. Eggs are such a great protein source in the lunchbox. I have always adored egg salad sandwiches and I love them in wraps too. 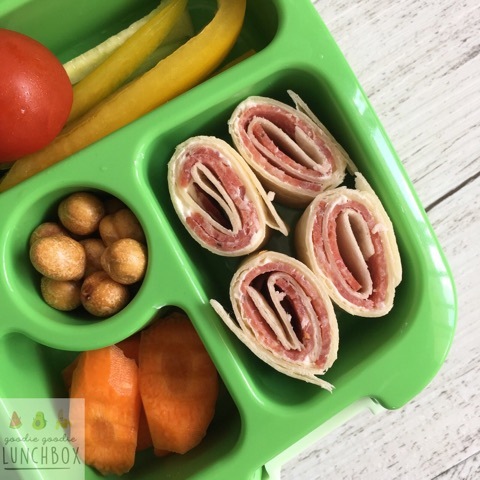 If your kids are new to eating wraps, this simple flavour combination is easy for little hands to hold and is a great way to introduce kids to how to hold and eat a wrap. If you don’t like marmite, vegemite would work too or for dairy free you could have marmite and lettuce which is also a great flavour combination. 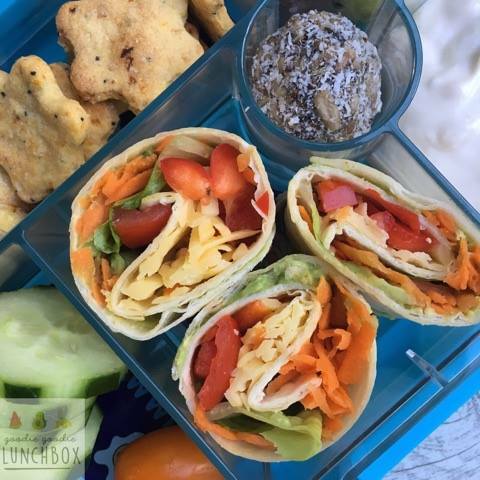 Hummus is a great dairy free protein source in the lunchbox and this is a simple way to serve it. I make my own hummus and this flavour is honey roasted carrot hummus which is really delicious and I love the additional vegetable boost. Wraps don’t always need to be savoury! 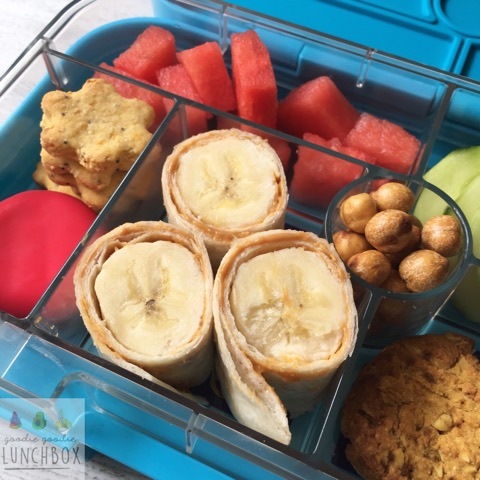 Banana and peanut (or other seed butter if your school is nut free) is a great sweet option for the lunchbox. If your kids don’t eat banana other berries and nut or seed butter work too. Salami and cream cheese is another simple combination that is easy for little hands to hold. I sometimes also add tomato, capsicum and pineapple and make this more of a pizza flavoured wrap. 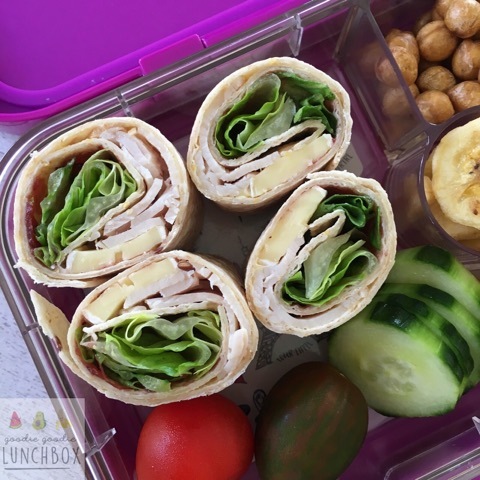 Get some vegetables in the lunchbox by serving them in a wrap. To stop tomatoes from making the wraps soggy, de-seed the tomato then lay them on lettuce. A classic combination but delicious none the less! I fold my wraps by placing my fillings in rows and I find less is more when it comes to wraps – especially with little hands. In order to have my tortilla stay together I normally spread the lower half of the wrap with cream cheese, butter or similar to assist with the wrap sticking together. Before cutting into slices I press firmly to ensure the roll is tight and sealed. Before cutting you may also like to trim the edges but this is not necessary. 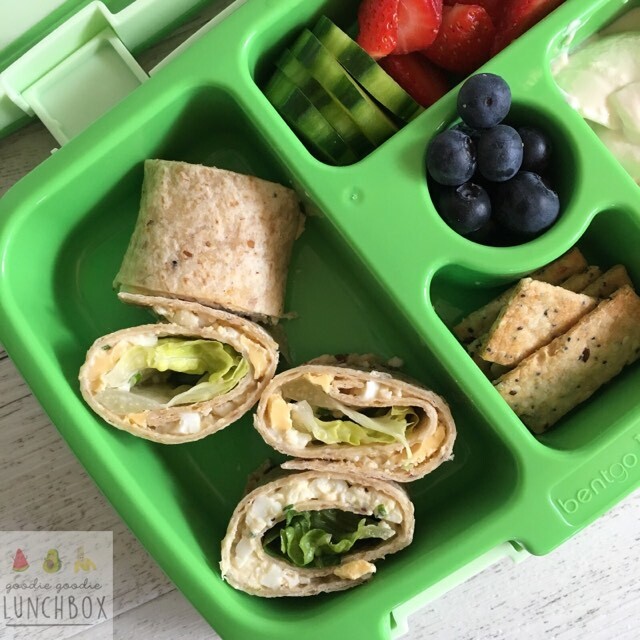 I hope you have enjoyed this 10 Wrap Filling Ideas for School Lunches blog post! 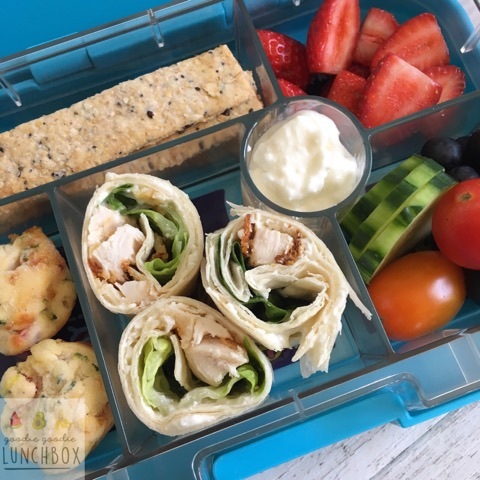 If you are looking for more inspiration check out my School Lunch Guide that has lots of ideas to keep lunches fun and fresh and I share lunchbox inspiration almost daily over on Instagram so come join me over there. 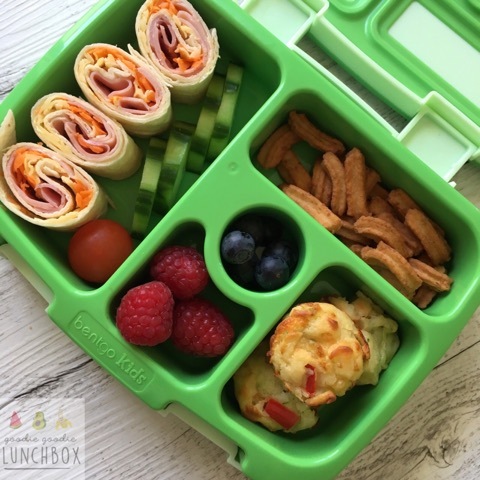 Also, if you would like to share your ideas come on over and join my Facebook group Bento Lunchbox Ideas I would love to see your lunchboxes! what wraps are the best?